Okay, so first things first. What exactly is a raked ceiling? You may have heard it called by another name, like a pitched ceiling, a vaulted ceiling or cathedral ceiling. To put it simply, a raked ceiling is an inclined ceiling that provides extra height than an ordinary flat ceiling does. 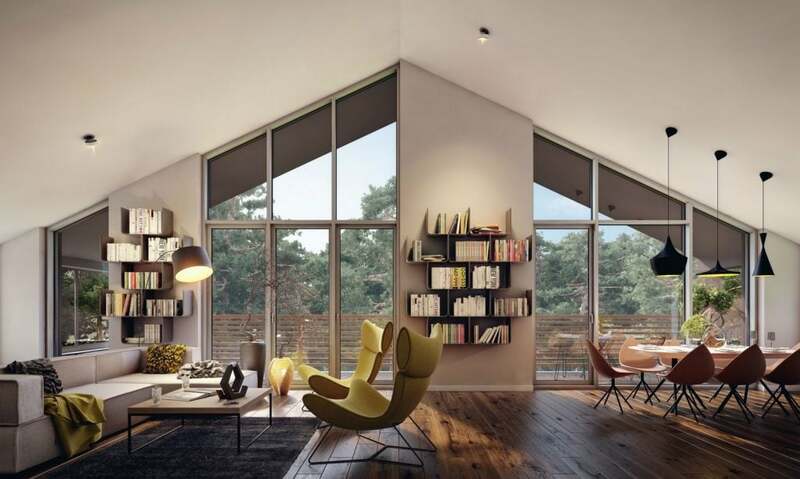 These soaring ceilings can provide a range of benefits to your new home build, as we cover below. 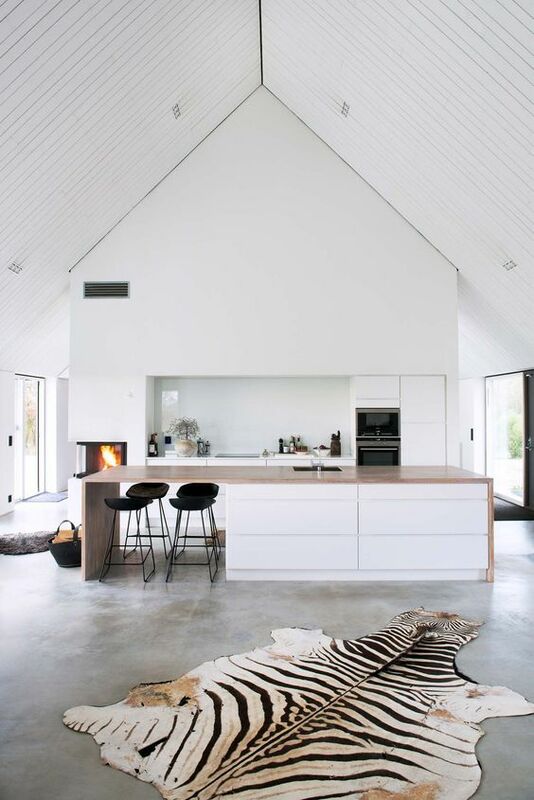 Walk into any room with a raked ceiling, and you’ll immediately feel a sense of light and space that is harder for ordinary ceilings to achieve. 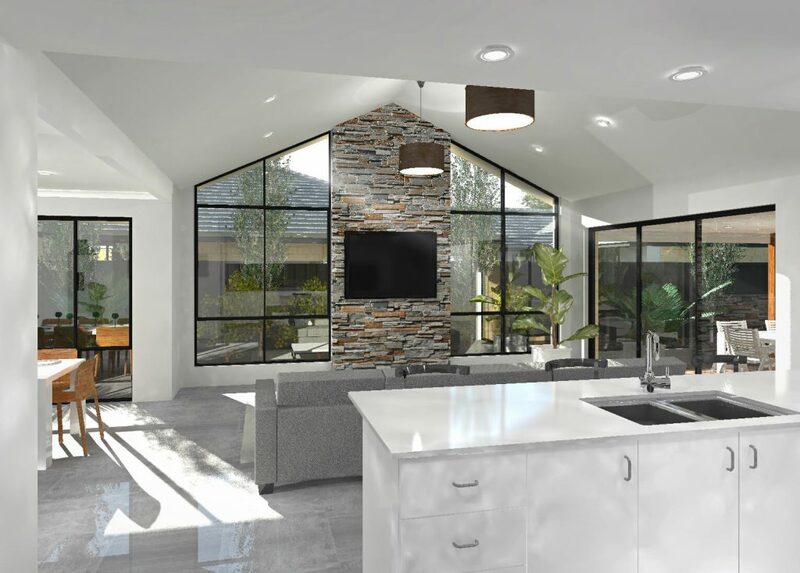 Taller ceilings mean you have more space for windows, which allows you to make the most of the abundant natural light available – and our beautiful West Australian weather! 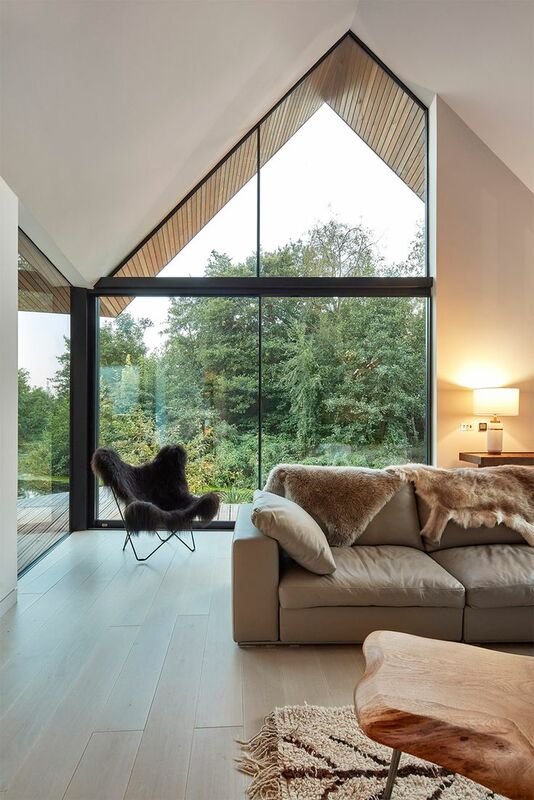 There’s no doubt raked ceilings are seriously impressive, providing a real focal point to any room. Whether it’s the impression of added space, or just their general appearance, raked ceilings are definitely a real showstopper. If you’re wanting to add a sense of grandeur to your new home, a raked ceiling can help achieve it! Goodbye, stuffy rooms! 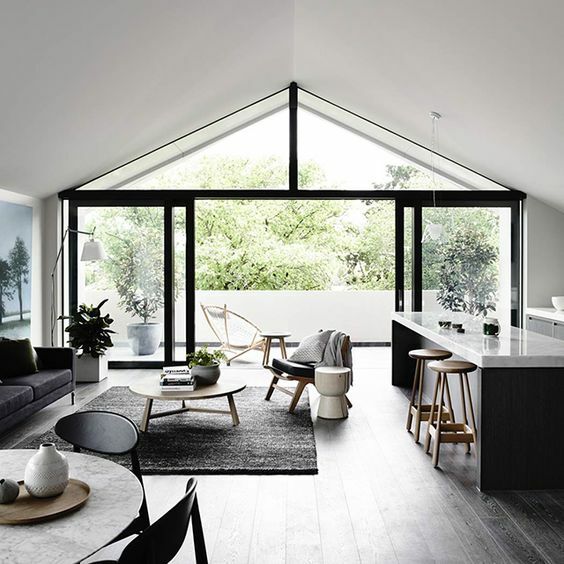 Raked ceilings really are a breath of fresh air, especially in the hot summer months, giving the air plenty of room to move. And, don’t be afraid your home will be cold in winter – with the right insulation, you’ll be able to enjoy all the benefits of your raked ceilings year-round. Raked ceilings not only give the impression of increased space in a room but also give you more freedom when it comes to furnishings and accessories. Why? The added space means you can more comfortably fill the room with furniture and statement pieces without it being too overwhelming or feeling cluttered. Go for it! 5. It is now a striking feature in one of our latest designs! Yep, you read that correctly! Our Evolution design is centred around a stunning open plan Living, Dining, Kitchen space that reaches new heights with a flawless raked ceiling feature. The gorgeous design astounds all others with it’s increased space and sophisticated look. At only $236,990, this is a design you simply can’t walk away from! Get in touch with our team today. To get you started, take a look at the floorplan here, or if that doesn’t quite suit your style, flick through our huge range of home designs here. You can also view our Display Homes in a variety of locations throughout the Perth metropolitan area and South-West.